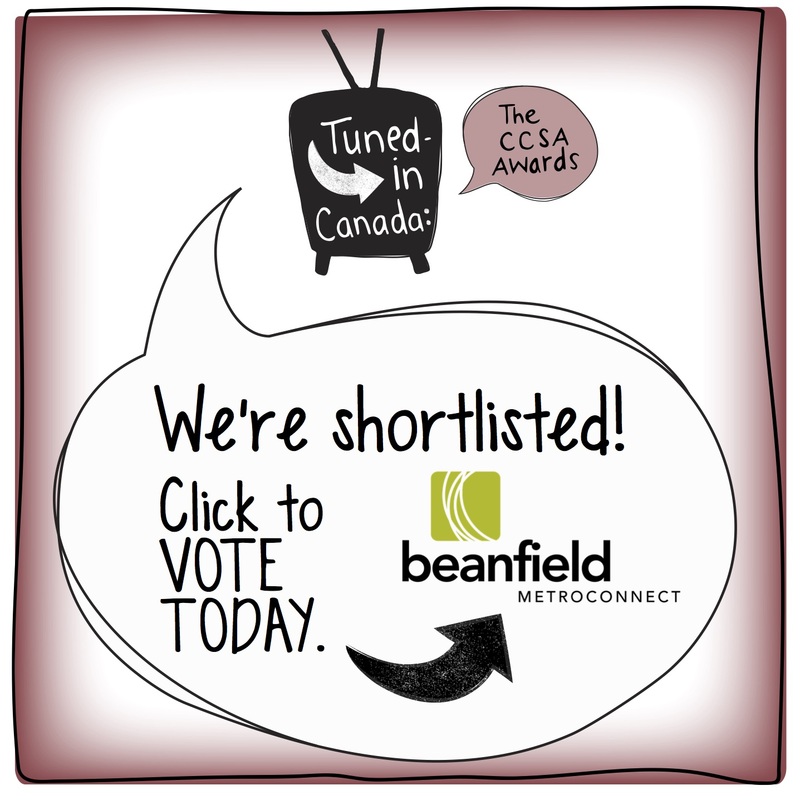 BEANFIELD METROCONNECT along with The Canadian Cable Systems Alliance (CCSA) are pleased to announce that voting is now open for the 2016 edition of Tuned-in Canada: the CCSA awards – a national celebration of excellence in communications service delivery, community-mindedness, and community channel content development. Canadians can vote Beanfield at http://www.tunedincanada.com/vote/ orhttp://www.lecanadabranche.com/voter until June 17th at midnight (Atlantic). “We are very grateful and excited to be shortlisted for the Tuned-IN Canada CCSA awards for our Liberty VillageStreetscape community project. As a company with it’s roots in the Liberty Village community, we feel it is our responsibility to sponsor this project and spark off an ‘Adopt-a-Block’ program for the whole neighbourhood.” said Grant Dyer, Director of Customer Experience. Judges Greg O’Brien (President of FindTV, and editor & publisher of CARTT.CA), Kurt Muller (Associate Dean of Media and Entertainment at Mohawk College), and Suzanne Lamarre (Lawyer, engineer, consultant and QuébecCommissioner at the CRTC from 2008-2013), shortlisted Beanfield along with the 23 other nominees from a field of more than 170. The winner in each category will receive $1,000 to donate to a community charity of their choice. CCSA represents more than 115 independent and highly resourceful cable, telco and IPTV companies that serve over 700,000 Canadians in communities in all provinces and territories. Our membership includes television distribution companies operated by many small, family-owned companies, a large number of First Nations and more than 20 not-for-profit community cooperatives. Since 1988, Beanfield fibre has been transforming the way businesses and residents communicate with Internet, phone, private line, colocation services and TV. With a 100% fibre-optic network – that we own, build and operate – we’re solely in control of our network. Our full-featured TV service, that runs over our fibre-optic network, provides top-notch picture quality. We never duplicate channels in our lineup and we carry only HD channels (unless there is only an SD version available). Our On-Net buildings are located across Toronto, connecting commercial and residential customers to the world.